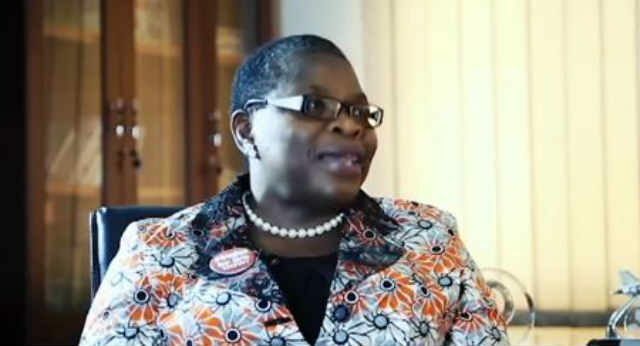 Dr. Obiageli ‘Oby’ Ezekwesili will unveil a road map at a press event with the theme: “For those who say we cannot win,” in Lagos, Nigeria’s commercial capital and most populous city. The press conference has been scheduled for Monday, October 29, 2019. Ezekwesili said on October 11, 2018 that she is in the presidential race to win it. She will be up against Atiku Abubakar of the PDP, President Muhammadu Buhari of the APC and over 70 other candidates vying for the number one job in Nigeria in February of 2019. The press event will afford the presidential candidate and former World Bank Vice President for Africa, an opportunity to unveil her campaign road map, communicate its essence, and engage Nigerians directly on “this urgent marathon to rebuild the nation”, her campaign said in an emailed statement. Ezekwesili took to her Twitter page to say: “My beloved compatriots and fellow occupiers of the #OfficeOfTheCitizen,We need YOU. I need YOU. Nigeria needs YOU. IT IS TIME TO FIGHT FOR A NEW NIGERIA. I am totally committed to leading and mobilizing all our citizens on a #ProjectRescueNigeria. ‪On Monday, 29 October, just before my listening tour of every state in Nigeria, I will be delivering a major call to action in Lagos. For those who think we should wait until 2023; for those who say we have to ‘manage’ the lesser of two evils; those who prefer either corruption or incompetence; and for those of you who are fired up but wonder how serious I am about this urgent mission please join me on Monday at 11am”. After her prepared speech at the press conference, Ezekwesili will take questions from journalists. The event will be streamed live on her social media handles, her campaign office detailed. Ezekwesili declared her intention to run for President on Sunday, October 7, 2018. She is the leading female presidential candidate in the race to win the 2019 general elections. Manchester United Still Keen On Michael Keane?